My first official book tag!! Hooray! I was tagged by the brilliant orang-utanlibrarian to participate in this fun tag! If you have not visited her blog, you need to click immediately. She writes the most engaging, detailed book reviews I’ve come across and she’s super nice! Set those 5 people the subject/prompt of their listicle post! Nobody, and I mean NOBODY, in this book and the entire series is human. My favorite character is Curran who is the lion pictured behind Kate. 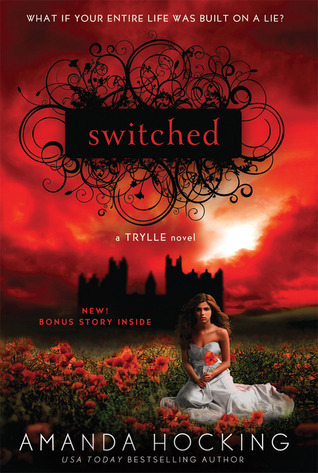 There are nine books in this series and we still don’t know exactly what Curran is. He’s known as the Beast Lord and is basically alpha of all animal shifters in this world set in post apocalyptic Atlanta and his lion form is grey with like ancient rune symbols on his skin. There’s also vampires, witches, lichs and magical gods. This story is one of those switched at birth types of situations. This is about a girl who learns she has a different destiny after her mother tries to kill her because she thinks her daughter is a monster. Well she’s not a monster in the evil sense. She’s a troll! Tiger’s curse is about a girl who takes a job at a circus for the summer and finds out the tiger she cares for is actually a cursed Indian prince. She plays a role in this 4 book series in helping to break this 300 year old curse. 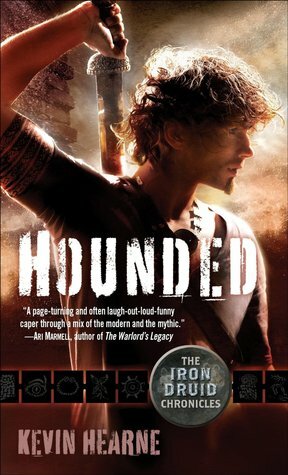 Hounded is the first book in the Iron Druid Chronicles with a main who’s a 2000 year old Druid, last of his kind, who disguises himself as a human who runs a bookstore. He also has an ancient Irish wolfhound that talks! 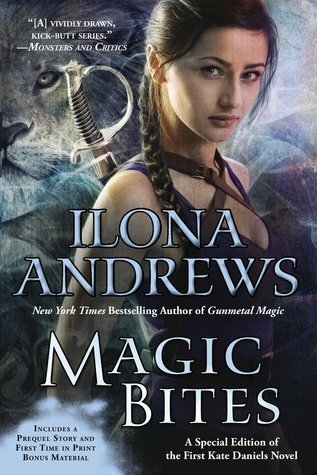 There are also goddesses, witches and other fantastical creatures in this series. This may or may not count but I’m including it anyway because I love this series! 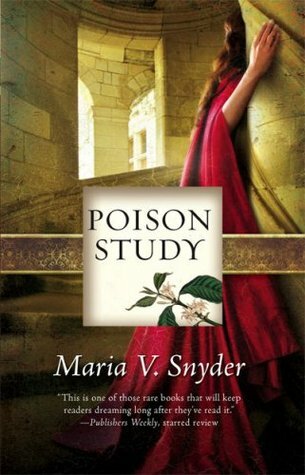 The main character is sitting in prison when she’s given a choice to die or be a poison food taster for the Commander. She develops magical powers as the book progresses which makes her not completely human yeah? There you have it! My top five non human book characters. The topic I choose would probably be top 5 objects that make the main character stronger in books. What do you think of my choices? Do you have any favorite non-human favorite characters? Let me know in the comments below! Yeah! We need to expand your horizons! will do tomorrow! might be late tonight when we watch it. We watched the first two episodes just now, while dinner was cooking. Season 1, Episodes 1 & 2: (1) condom break / what if I was a parent and (2) taking parents for granted. Liked both a lot! So, you scored 1 out of 1 so far for recommendations! Yeah Firefly is definitely different but it’s a good introduction into the science fiction world besides Star Wars. She may like Merlin better though or Robin Hood! Both are great BBC series! Also, Sherlock! I did watch the first episode of Sherlock, and that’s a definite keeper. Just haven’t gotten back to more of them. Merlin or Robin Hood might work. I did watch 4 seasons of Once Upon a T ime. I did watch the first episode of Sherlock, and that’s a definite keeper. Just haven’t gotten back to more of them. Merlin or Robin Hood might work. I did watch 4 seasons of Once Upon a Time. I remember him from Parks and Recreation… watched a few of those. But lots of laughs. Was kinda cool how he is just honest and direct about the whole immigration piece, plus the stories from Taiwan and India. I will definitely watch more. Read it! Read them all! I let M borrow the Kate Daniels books thinking she wouldnt like them but she LOVES them. It’s definitely a good introduction to urban fantasy I think and I thought about it later after your dystopian post, and this is kind of dystopian since its set in like a post apocalyptic Atlanta. Ooh exciting- I actually want to give urban fantasy more of a go cos I very rarely read it- this sounds great!! Yes Kate Daniels, Mercy Thompson, Allie Beckstrom, all good starter ones. They can get steamy in the romance dept but not raunchy cause the main focus is definitely plot oriented! Oh awesome!! haha well I do love a good romance!! 😀 I’ve added that to my tbr now- very exciting!! 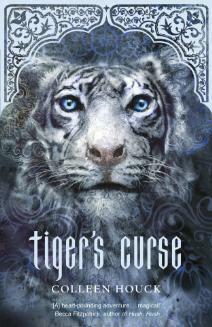 A Tiger’s curse sounds something I’d read. happy ending, romance?